I asked a few weeks ago that you would submit some topics that you wanted me to address and some of you did just that. Since you did, I figured I would not just address one issue, but I would do several. I feel like this is an ask DeeDee corner. I think that this may become another way to stay connected to you. By no means do I consider myself an expert at everything, however, I have been in ministry for 25 years, I have my BA in Psychology, and my MA in Human Services and I am presently getting my Ph.D. in Strategic Leadership. So, I have read a few books (LOL). One thing for sure I will never make up something to say. If I do not know, I will be quick to tell you. I suggest that all of you read each answer because it may apply to a present challenge. If you have a question, please email me. I love you, my sister! QUESTION 1 Is it ok to divide family responsibilities? Hello Dr. DeeDee, I have a question about whether or not I am wrong in wanting to show my husband how to handle some of the household management tasks. When I am speaking of the household management tasks, I am speaking of paying bills, managing certain accounts, completing paperwork for the children for school, appointment scheduling, etc. Currently, I work full-time, I am a Ph.D. student, and I handle the administrative functions in the home, in addition to doing the laundry, handling the majority of the responsibilities for the children, and managing the housekeeping. My husband also works full-time, and one of the things that he does that I appreciate the most is the majority of the cooking. Should I be grateful that he does that much, or should I approach him with the need that I have for him to at least know how to manage the administrative tasks? Sometimes, I feel a bit overwhelmed with the tasks that I have, which is why I feel the need to reach out to him concerning this. Thank you! My short answer is ABSOLUTELY. I have been married for 32 years this year, and I have been the biggest Mike Freeman fan. I have supported everything he has ever wanted to do in our personal life and as well in ministry. I waited until I was in my forties to go back to school. Before I registered for school, I asked if he would mind because I knew it was going to require a lot of my time. He turned to me and said, “You have supported me, so it will be my pleasure to support you.” I think it is a matter of you communicating with your spouse to allow him to know exactly how you feel. Sometimes we make it harder than it is because we don’t ask. I do think you should get him to feel great about everything he is already doing because it will motivate him to want to do more. I know some will read this and wonder why is this even an issue because who said you had to do all of what you are doing in the house and with the kids. However, if this is how your house was established then you do have to discuss it, or you will have more problems than you want. Explain to him the amount of work that is on you. Pray that the wisdom of God will be in operation when you open your mouth to speak. QUESTION 2 How do I Get my faith back and find my purpose? Good morning Pastor DeeDee, I am in need of some spiritual guidance this morning. I lost my job six months ago and hadn’t had much luck finding a new one. Being unemployed has made me very depressed. It has gotten to the point where I had lost some of my faith in everything. I am trying to be strong about the situation because of my husband and three beautiful children whom I adore, but I still feel like I am drowning. My husband has been my rock and a great provider, but I still feel hopeless because I can’t contribute to our household. I have been trying to pray, but it’s tough. My question for you is will I overcome this trial in my life? You are not alone. So many others have been in your position. I am so glad that you have asked this question. I would love to say yes you would overcome this trial. Unfortunately, you are the only one that can determine that. I can tell you that without a shadow of a doubt that you can overcome. You need to put your trust back in the Lord. Where you are is not an emergency to God and since it is not that means He already has something for you. Keep putting in applications and if they tell you no – try again and again. One thing I would strongly suggest is that you go volunteer at your house of worship and find somewhere you want to work and see if they will allow you to volunteer for a few hours a week. Take your attention off of your problem and watch it go away. Read, write, and meditate on Proverbs 3:6. QUESTION 3 How do I let go? Hurt is no joke. Pain is designed to paralyze you. Hurt wants to permit you from receiving what the Father has for you. You said, “I believe the word and that God has a plan and that he is working things out for my good.” Since you believe the Word look at John 14:1 Jesus said we have the power not to let our heart be troubled. You have control over how long you will allow what someone else has done to do. Don’t allow anyone to have your power to move forward. You have to decide to walk in the liberty in which Jesus died and rose for. It was just for you! We have given time too much authority to heal and time doesn’t have that power. Nowhere in the Word has God given time power. We live in another system, and we can speak to our situation and command it to be healed. My Biblical instruction is to get you some scriptures on healing or freedom and meditate on them day and night until your healing manifests. My psychology training advice would be to write a letter to the person or persons that have caused the hurt and write everything that you have told them in your mind but never send the letter. Just do it as an act of release for you. I pray that this is the last day you hurt from this pain in Jesus Name! Thank you ladies for your questions! I want this blog to connect us as sisters. This is our safe place. Let’s talk about it – whatever it is. Click the link below with any question you have. Your name will not be mentioned when posted, but this is so important to me because your question can free someone else! Let’s help one another and talk about it! I appreciate the post today – especially about our tendency to think that time will heal all wounds. Thank you for sharing your heart and wisdom on this page. This is my first visit here but it will not be my last. May God continue to bless you, your family, and your ministry mightily. Great advice for the ladies and some actually pertains to me … I’ll be reading and meditating in GOD’s as well. Great questions and responses. I’ve been blessed today. Thanks! Thank you for being You! Great advice Dr. Dee Dee. I can relate to all yhe questions in one way or another. I love these weekly blogs Dr. DeeDee. They help me, and many other sistas by giving advice on how to deal with many of life’s issues, as well as help me to feel connected to a group of sistas to share and receive advice on the issues of life. Feeling as though I have a connection is important to me at this time in my life. Currently, we are stationed in Germany, and while I am grateful for the experience, and feel Blessed to be here, there are times when I feel as though I am isolated from the closer friendships and relationships that have been built throughout the years. Thank you so much for making this platform available! Wooow!! That was very helpful. Thank you. I received my AA in December of 2016. I will be graduating with my BA on June 24, 2017, 3p at the Verizon Center in DC. You Dr. Mike and my SOFCC family are invited to attend. At 52, I’m amazed at yet another fear I have conquered. Yes, going to college and finishing at my age, WAS a fear. Than you for being transparent and Godly example for me to follow. I appreciate and love you. Excellent Wisdom Dr. Dee Dee. You encouragement encourages me to make sure I’m reaching for the stars and being the best me I can be in every area of my life! ❤️❤️❤️ U!!! Great Q&A but I was drawn to ques. 2. You do contribute to the household it may not be financially but I’m sure you cook, clean prepare meals and take care of your home. I am not trying to take over for Pastor Dee Dee but maybe it is time for you to start your own business? What are you good at? What do you like to do? Also do what Pastor Dee Dee recommended and go volunteer at your church. You will be amazed at what that can lead to. One other thing you may consider doing is to start a small group in your home for women in your community. There are plenty of women at home that are not working. You all will be able to encourage one another and you never know where God will take you on either of those journeys. I can relate to all these ques. My husband & I had to relocate 7 years ago for his job. We had no family or friends here. It wasn’t until I stepped out of my comfort zone joined a local church and 8 months later I began working for the church full time. You will meet people at your church waiting to help or hire you. Trust me get out and do something. It’s in our doing that God shows up! Love you! I truly appreciated you and your ministry to women and those who may be in ministry like yourself. I believe God has purpose for me someday to make such contributions and that’s the reason I value women such as yourself and others. Thank you so much & truly for being a conduit we can genuinely connect with and be empower by such wisdom and a wealth of knowledge. Dr. DeeDee, you have touched on many topics. Thank you for being honest and sharing your experience from one woman to another. Just had a conversation this morning about letting go. This is so timely. Thank you! This part right here was sooooo good! We have given time too much authority to heal and time doesn’t have that power. Nowhere in the Word has God given time power. We live in another system, and we can speak to our situation and command it to be healed. Thank you Dr. Dee Dee for this! I need to press a like button right here!!!! Thank you Dr. Dee Dee for the connection. This really blesses my life. Praying God continues to keeping you Blessed. Love You! After he realized that night classes sometimes prevented me from being home when he arrive from work, and he would actually have to do the laundry and help clean…he adjusted. Thanks to his help, I graduated with a 3.6 GPA in Business Administration after being out of school for over 20 years! I love this question and answer blog. As women we always have questions. Thank you so much for thinking of us and loving us enough to address our concerns. Love you much! Dr DeeDee your advice about writing the letters to those that have hurt you but not send them; I’ve done that for years. Thanks for your advice, I shared with my 3 Facebook pages and Twitter. Good questions. Great answers. Cannot wait to read more questions and answers! Hello Pastor Deer Dee! Thank you, Thank you, Thank you for this blog. I have been home from work for 1 month now after receiving a diagnosis of Breastfeeding Cancer Stage 0. I was floored when I got the report. I have slways bern s strong individual but recognised I was not as strong I thought I was. I needed to call on the name of Jesus and draw strength from our ancestors! How to you keep your faith? Return to living a healthy whole life? God told me I may heal. When the gave me the diagnoses they told me they had remove it. It’s was gone before the doctors or myself that it was present. During my healing time God told me everything is going to be alright. But I still have a slight fear of recurrence. I want just trust God! While doing my part as the doctors have instructed. Thank you, Dr. DeeDee. I receive your counsel and I stand in agreement with these ladies that they have been lifted and also have received their answer.On point as usual. Excellent question and answers! Thank you, Dr. Dee Dee for creating a safe place to land! Good evening, Initially I wasn’t going to ask, but why stay in an unwise state. My question, is for specifics and I realize that everyone is different; nonetheless, how do you study the Word of God? I assume like everyone, I want to grow in the Word, but sometimes I stumble with the study part. I have several higher education degrees, yet I am stumped on stumped on studying the Word. Thank you so very, very, much for those awesome answers to our sisters. You are correct every question and answer blessed me as much as it blessed the person who submitted the question. I also shared the information with my daughter who will also join the weekly communication blog and corner. Thank you so much for all you do and say for the Glory of God and His Kingdom. I love you too, my sister. I failed to tell you how Godly proud I am of you!!! You go girl!!! Pastor Mike Freeman’s number one fan, YES, you are (and I can always see the love and admiration you have for him when you look at him). You are also a great mother, grandmother, daughter, sister, cousin, friend, aunt, First Lady, LEADER, and the list goes on and on. You are such a mighty blessing to the Church (Body of Christ). I praise God so much for allowing me to cross paths with you. While I am so much older than you in years you have taught me so, so, so much. Thank you. You have blessed me in ways you can not even begin to imagine. I know, every subject matter, for each degree you earned, was selected in an effort to be a better, bigger, blessing to God’s people. To know that you are now working towards completing your Ph.D in Strategic Leadership (for God’s Kingdom on earth) after having accomplished so much (and poured into and blessed everyone else first) makes me so very Godly proud of you!!! What a bright, bright, light and example you are for all of us, especially women, striving to please God daily more and more. Again, I say, I love you too, my Sister. All of these questions and answers were so good as I could see parts of my own life in them. I pray that each individual is free in the areas they mentioned. As for the last question, I just want to say that everyday, that I awake, I choose to have a great day. I have experienced hurt from my husband and even from my children, but I have allowed the peace of God to supersede all of that. I have allowed the joy of the Lord to take precedence over my life which means it takes precedence over my circumstance. There were times when this may have sounded crazy, but I tell you I’m am crazy in love with the Lord and all He has been to me. Getting to the next level may require forgiving those who have caused the hurt in your life. That right there is the most freeing aspect (I feel) in anyone’s life. Then choosing to walk in the newness of that. Be blessed and be free!! Love this! Thanks for helping us. Thank You Dr. Dee Dee for taking the time to address such important questions. Sometimes I think we as Christians forget that we are human and just because we struggle with real life issues does not always mean that we are not in faith. We just need a little help in gaining understanding on how to deal with the challenges we face in life. Thank you for the wisdom and insight you gave to these important matters. Love and blessings to you! I enjoyed all the questions and your response. I have just joined Spirit of Faith and since I have accepted Mr. and Mrs. Mike Freeman as my pastor and spiritual guidance teachers I have felt such a power and positive energy in my life! This is my first time visiting this site and I love it!!! These posts have spoken to exactly what I am going through in my life at this very moment with my faith in God, my employment and in my relationship! 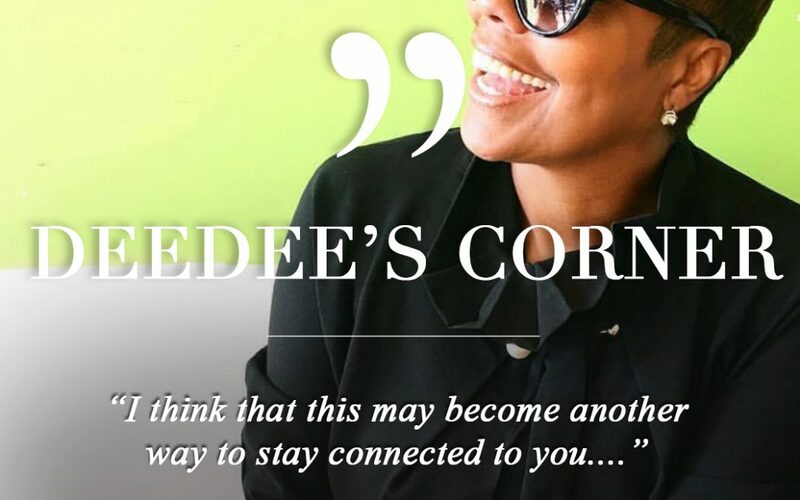 I thank you Dr. Dee Dee for creating a safe heaven for women to come together and connect, it is something I have been longing for since I was born, and in this day and age it is hard getting women to support each other and truly love each other. If we all come together we create an environment that is truly Euphoric!! I am excited to continue learning and growing in my faith and in my set place! Thank you again!! I look forward to meeting and speaking with you and attending the God’s Glam Girls Conference in July!